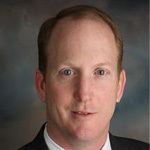 Bruce Hamilton is a founding Director of the Institute for Sustainable Energy Development and is CEO of Adica LLC. He is also leading the formation of a global Smart Grid Network at SmartGrid.com to empower people around the world to share their views on how a smart grid can contribute to sustainable development and connect interested consumers with smart grid solution providers. Mr. Hamilton supported the establishment of a smart grid collaboration agreement between the United States Department of Energy and Korean Ministry of Knowledge Economy. He is also lead author of the Feasibility Report on A Smart Grid and Green Technology Development Initiative Between The State of Illinois and Korea and provides program management support for the ongoing Illinois-Korea Smart Grid Partnership. Mr. Hamilton served as guest editor of the Institute for Electrical and Electronics Engineers (IEEE) Power & Energy Magazine, is IEEE Power & Energy Society’s designated contributor to the IEEE Smart Grid Newsletter, and is co-author of the book titled Smart Grid: Integrating Renewable, Distributed and Efficient Energy (Elsevier 2011).